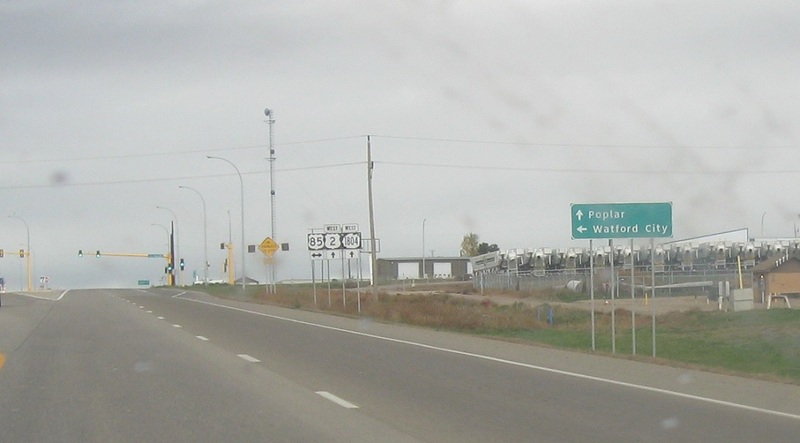 Shortly after 1804 joins US 2, we’ll approach US 85. 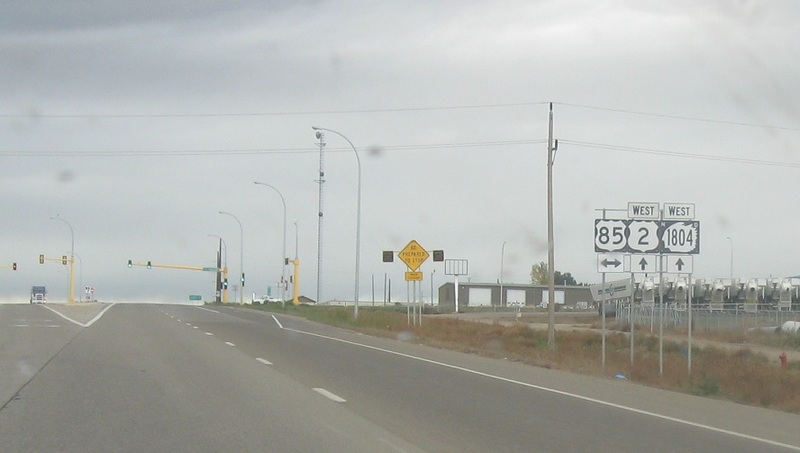 Follow 85 south to Watford City and 2/1804 west towards Poplar, Mont. Turn right for 85 north and left for 85 south. Stay straight for 2/1804 west.